The STICKER-Tag is detected by a radio frequency (RF) anti-shoplifting system. Suitable for any packaging or hard surface except metal. See RF DSP and DS 2001 Systems . 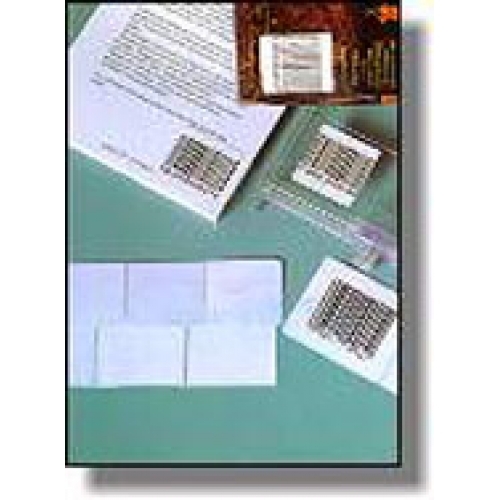 The STICKER-Tag is an active label, the thickness of a standard paper label. Quantity 1000. Permanent 400 series - 1.57" x 1.57" 40 x 40 mm. Contact the loss prevention experts at sales@safetechalarms.com or call 1 (416) 229 9902 begin_of_the_skype_highlighting 1 (416) 229 9902 end_of_the_skype_highlighting for more detailed information and a consultation.